The horror and sadness of the Charleston murders have focused our national conscience on racial tensions. Along with all the dissection of the murderer's motives, comes the sudden decision that the Confederate flag played a major role and should essentially be outlawed. 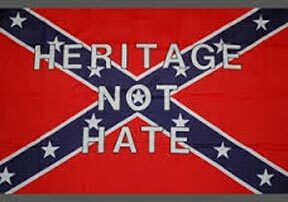 It seems to me (in a move designed to appear sensitive to the victims' families), every politician, fake media apologist, and greedy corporate CEO has now joined in the call for banning this iconic symbol of Southern heritage. Perhaps I'm a little sensitive, since I live in what is considered part of the South. In fact, I have lived here for nearly three-quarters of my life ... by choice. I love the hospitality and friendliness of the people; I love their pride in their history; and I love the importance they place on faith. And perhaps I'm sensitive because my father recounted his grandmother's stories of escaping rural Tennessee ahead of the Yankee army, which was burning everything in its path. As a small child, it was my great-grandmother's job to dig up the family silverware from its hiding place in the ground, and to gather as many family mementoes as she could carry in the wagon. Or maybe I'm proud because my paternal grandmother's maiden name was Lee, a historic and proud name in the South and because our family lineage can be traced back to Old Virginia, and a possible connection to Stonewall Jackson, a celebrated Confederate General. And maybe I just plain don't like the one-sided picture that is being painted of the South. They weren't all slave holders. Like much of the South, my family were farmers. And to many. the flag simply means pride in their roots and traditions. I find it disturbing that in the rush to prove that the nation has transcended its racist past and will not tolerate the likes of a crazy, white supremacist, such as the Charleston killer, there is a growing move to eradicate all Southern influences ... and the over-reaction is neither reasonable nor rational. For instance, the memory of Pastor Clementa Pinckney has became the rallying point for removing the Confederate flag from the South Carolina statehouse. Somehow, the politicians and the PC police felt that the flag symbolized the hate that caused his murder and the deaths of eight of his parishioners. There was an outcry that his casket was actually carried past the Confederate flag during his funeral. But would it surprise you to know that in 2000, during his first term in the South Carolina State Senate, Pinckney actually voted in favor of H5028, the May 2000 compromise which placed the Confederate flag at its current location? From what we have gathered about Reverend Pinckney's character, it seems to me that he would have cautioned against such a rash decision and rush to judgment. He would have recognized the emotional attachment that millions of Southerners have to the flag -- not that it represents slavery to them; but that it is a symbol of their unique heritage and of the approximately 600,000 who died in a war that split the nation apart. Is it too much to consider the sentiments of one writer, who said, "I find it strange that the actions of one sociopath should mar the reputations of millions, as if the flag itself pulled the trigger?" It is as if somehow, just being proud of being a Southerner means that you are a racist and a bigot. But I'm afraid that's exactly the point that these modern-day dogmatic ideologues wish to stress. They are not interested in reconciling or allowing the South's history to coexist with the national narrative. In fact, they would rewrite history, if they could. But here's where these leaders of student government fail. 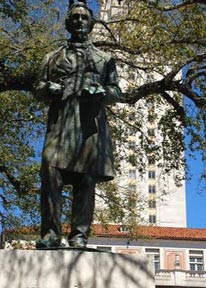 They have listened to their progressive professors, who have filled their heads full of distorted truths, and the result is they also want to remove a statue of Jefferson Davis, President of the Confederacy, because, "Given Jefferson Davis's vehement support for the institution of slavery and white supremacy, we believe this statue is not in line with the university's core values — learning, discovery, freedom, leadership, individual opportunity, and responsibility." If these students had been taught any form of critical thinking, they would do their own research and find out why Jefferson Davis assumed the Confederate Presidency. They could decide for themselves if the protection of slavery was his motivation, or if there was another more important reason, as he expressed in his own words: "Every evil which has befallen our institutions is directly traceable to the perversion of the compact of union and the usurpation by the Federal Government of undelegated powers...My faith in that right as an inherent attribute of State sovereignty, was adopted early in life, was confirmed by study and observation of later years, and has passed, unchanged and unshaken, through the severe ordeal to which it has been subjected ... I shall die, as I have lived, firm in the State rights faith." Furthermore, he asserted that he was loyal to his country, "by the bonds of community independence, the supremacy of law, and adherence to the Constitution as it was interpreted by those who made it." It saddens me that there is such an abusive and over-reaching attempt to eradicate the history, influence, and culture of the South. 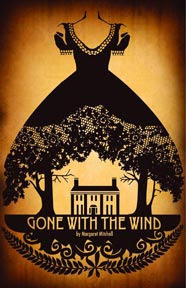 Even Gone With The Wind is under attack as romanticizing the history of the Slave South. What's next? Will there be a book burning of To Kill A Mockingbird, The Color Purple, The Adventures of Huckleberry Finn, and all novels by William Faulkner? We cannot and should not re-write our history! But tell that to the students at the University of Texas. Believe it or not, but according to a survey many of them would remove statues of George Washington because he owned slaves his entire life, and did not emancipate them until after his death. And when, as part of the petition, UT students were asked if they would also support a move to wipe Washington from the pages of history? A good portion of them answered Yes! Several also agreed that demolishing the statues would be a fantastic way of "controlling the future by re-writing history" -- a line lifted straight out of George Orwell’s 1984. “It’s so bad, it’s like as if you’re having a statue of maybe Hitler or someone like that,” said one trendy as he signed the petition. This, folks, is what our kids are learning at universities all across America. Just the mere use of words like "racist statues" or "treason", when applied to the historical figures of the South, were enough to get the results the petitioners desired. Let's face it. We are seeing a clear and blatant attempt at "cultural cleansing". And just like all the "movements" of the past decade, I am astounded at the speed in which it has materialized and is advancing. It almost feels as if we are powerless to stop the tide of change and deception that is flooding our nation and the world. But why should I be surprised... we should recognize it. We've seen it before in Nazi Germany, and we are well aware that the devil knows his time is short, and we know he's coming at us with all his fury. He knows that the Civil War nearly destroyed this nation under God, so why not try that tactic again... divide and conquer. But we must be determined that we will not allow that division to occur again, while maintaining the proud heritage of the South. And please, Lord, help us to educate our young! They are so easily deceived! Thanks to writer Todd Starnes, and to the D.C. Clothesline website for their invaluable insight. I'm a fan of yours (big time! ), but would like to point out a small error in this piece: there were, roughly, 600,000 deaths attributed to the Civil War--not "millions." You're doing a great job and have blessed my family and me many times over. Thank you. Thank you! You are quite right! I just got carried away with my emotions! I have corrected my error and I appreciate you pointing it out.